Major Leetul Gogoi was detained by police in May, following an altercation at a hotel in Srinagar where he was allegedly trying to enter with an 18-year-old woman. 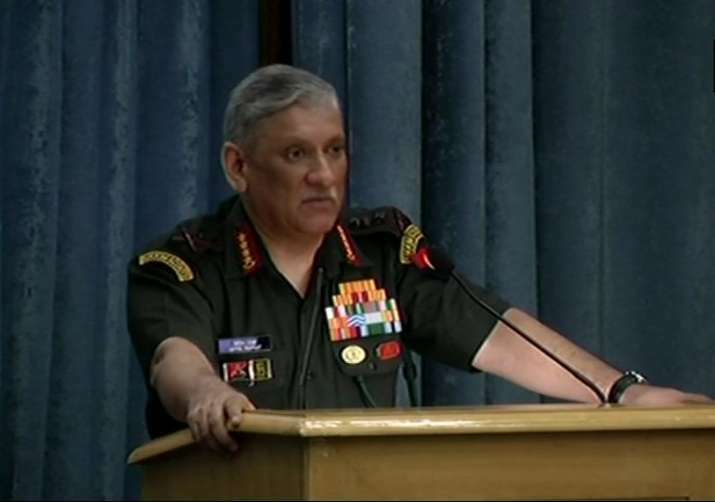 Army Chief General Bipin Rawat on Tuesday said that any case of moral turpitude and corruption will be dealt with sternly. Action will be taken based on the guilt of Gogoi, General Rawat said while responding to questions over Major Leetul Gogoi on the sidelines of an event in New Delhi. “Talking about Major Gogoi, I had clearly said that any case of moral turpitude and corruption will be dealt with sternly,” the Army chief said. “A court of inquiry has been conducted which has recommended that we should go in for court martial proceedings for whatever he has been found guilty of,” he added. The Army chief also said Major Gogoi will be punished as per the crime committed by him. “If it is related directly to moral turpitude then we'll take action accordingly. If it is something else, then a punishment will be given to him according to the crime he has committed,” he said. On May 23, Major Leetul Gogoi was detained by police following an altercation at a hotel in Srinagar where he was allegedly trying to enter with an 18-year-old woman. He appeared in the headlines last year after he tied a man to a jeep in Kashmir purportedly as a shield against stone pelters during polling in the Srinagar Lok Sabha by-election on April 9. General Rawat had supported the young officer's action and honoured him with the Army chief's 'Commendation Card' for his 'sustained efforts' in counter-insurgency operations.